Here's something slightly odd: a newspaper piece written by Ella Raines in 1954. She was the guest author for a regular column titled Washington Merry-Go-Round written by Drew Pearson (he was on vacation). 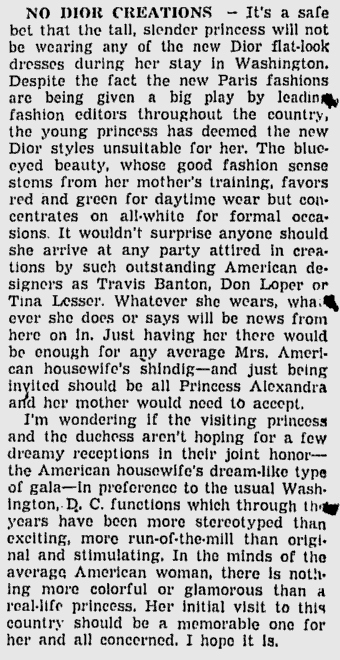 Ella Raines dishes out some royal gossip and drops a lot of famous names in this piece, apparently directed at "American housewives".